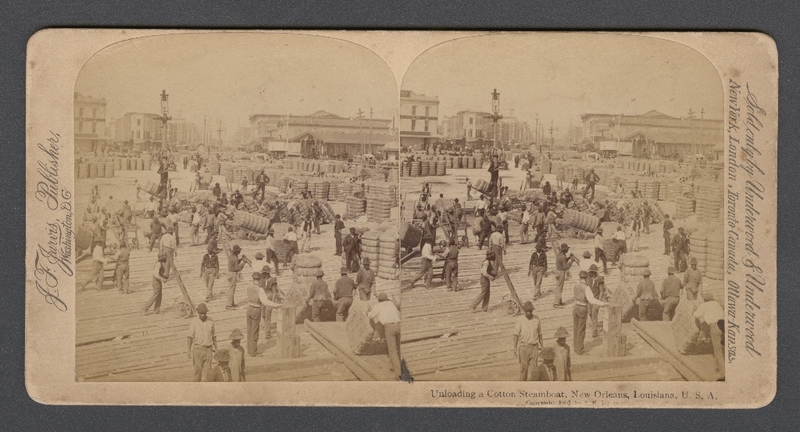 Unloading a Cotton Steamboat, New Orleans, c. 1890. Stereograph card from the Robert Langmuir African American Photograph Collection. Courtesy of the Stuart A. Rose Manuscript, Archives, and Rare Book Library, Emory University.